Do I need to send Save the Dates? When do I send them and what information is included? Save the Dates are the perfect way to give your guests advanced notice of your wedding date. They are especially helpful when guests need to make travel arrangements, when your wedding is being held on a holiday, during a busy time of the year, or you are having a destination wedding. You can send them 6 - 12 months before your wedding date. For summer weddings I always recommend 9 - 12 months as people often have to arrange work schedules and make vacation plans well in advance. Save the Dates usually include your names, the wedding date, city, state and wording to indicate that a formal invitation will follow. This is also a good place to include your wedding website if you have one, and other information that you feel will be helpful. Each person who receives a Save the Date must receive a wedding invitation. 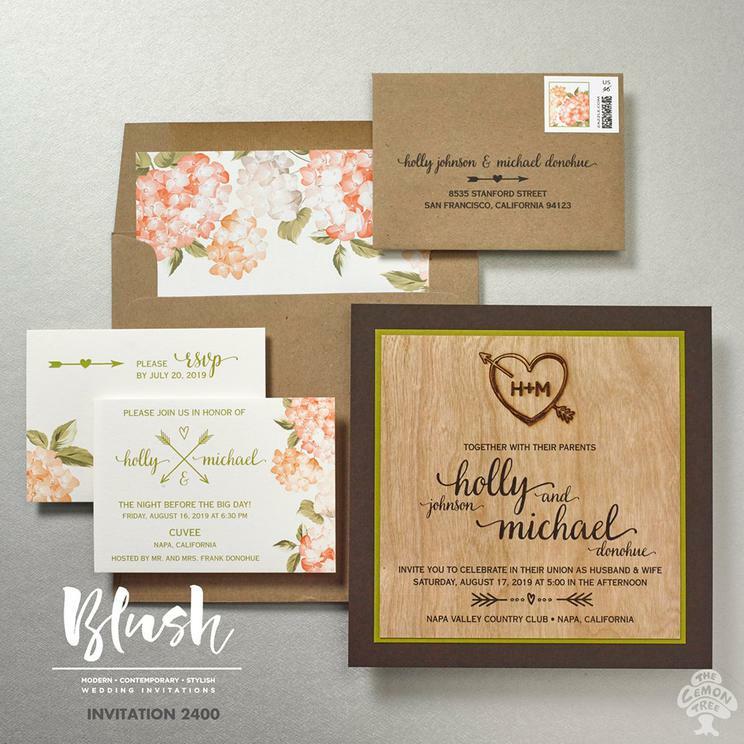 Invitations should be mailed 6 - 8 weeks before your wedding. I usually recommend 8 weeks and even a little sooner for a destination wedding or if you have not sent out Save the Dates. What information do I included on my invitation? You will need your full names, the date, time and place of the ceremony. You will also need to decide who is issuing the invitation. Traditionally it was the bride's parents, but now it may be the bride and groom's parents, the bride and groom by themselves or the bride and groom "Together with their parents". If the bride's parents are issuing the invitation you may want to include the groom's parents by writing "son of Mr. and Mrs...." after the groom's name on the invitation. If the ceremony and reception are being held in the same location, you may add a line such as "Reception to follow". What other enclosures are customarily sent with invitations? Response Cards - These cards typically include an addressed envelope that is returned to you and should be affixed with a stamp. You should include a respond date, lines for guests names and number attending, plus meal choices if needed. Determine a date by which your venue needs a final count. The respond date should be a few weeks before that date. This gives you time to contact guests who have neglected to respond. This card is also the perfect place to ask for any other information needed, such as if you are providing transportation from a hotel and need a count of how many guests will be using the transportation. Reception Cards - These are needed when the ceremony and reception are being held in different locations. Include the time, name of venue, address and information about the reception such as "Cocktails followed by Dinner and Dancing". Accommodation Cards - These cards let your guests know if you have set aside rooms at a specific hotel, usually at a special rate. Include the hotel name, address, phone, cut off date for reservations and room block name or special code to use when reserving a room. Inform guests if transportation will be provided to the wedding venue. This is also the perfect place to list your wedding website if you have one. Information Cards - These may include any other weekend functions that are planned. If you need a specific count for any activity, be sure to provide a place on the respond card for a reply. Directions may also be provided here if needed. What is the cost of invitations? This is one of the most common questions and the most difficult to answer. It depends on the number of invitations needed, what enclosures you will need to include, and the paper and printing method that you select. Most invitations must be ordered in increments of 25. The more that you need to order, typically the less the cost will be per invitation. Lasting Impressions has an extensive selection in all price ranges and always provides a generous discount on your entire order. Do you provide envelope addressing? All of the companies that I work with have the option of guest list addressing with fonts and ink to match your invitation. I can also refer you to an excellent calligrapher that I highly recommend. Do you do custom designed invitations? Definitely!!! Many companies that I work with allow for complete customization. 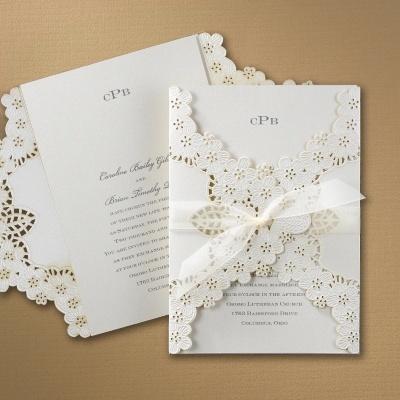 You may choose the paper, ink color, printing method, envelope color, the size of the invitation or a die cut shape. I will work with you to compose an original design or you can choose to modify any one of hundreds of existing designs to make your invitation truly unique. 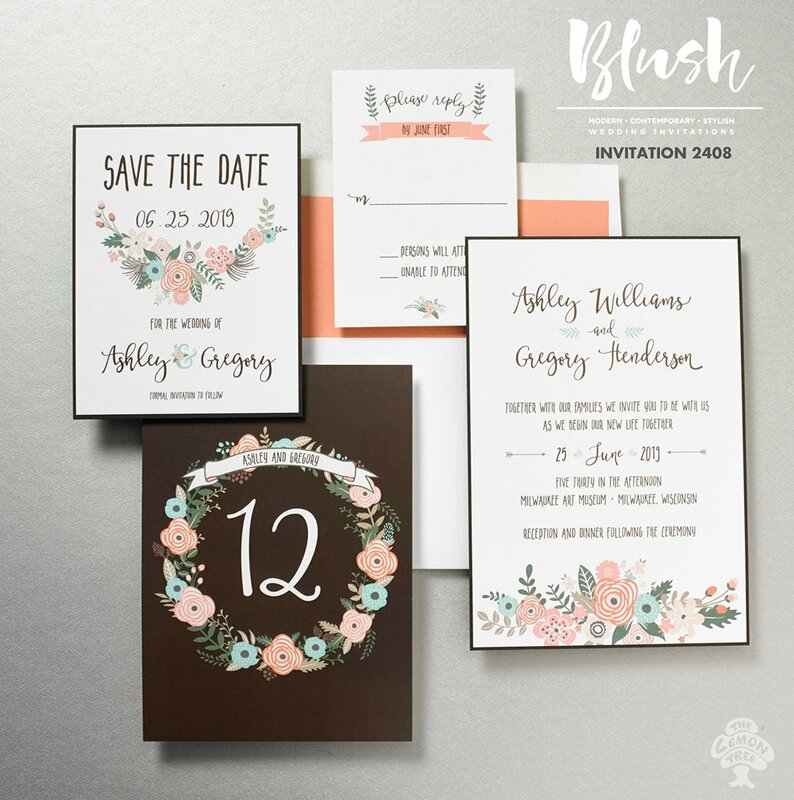 Are there benefits to ordering invitations in person as opposed to just shopping online? 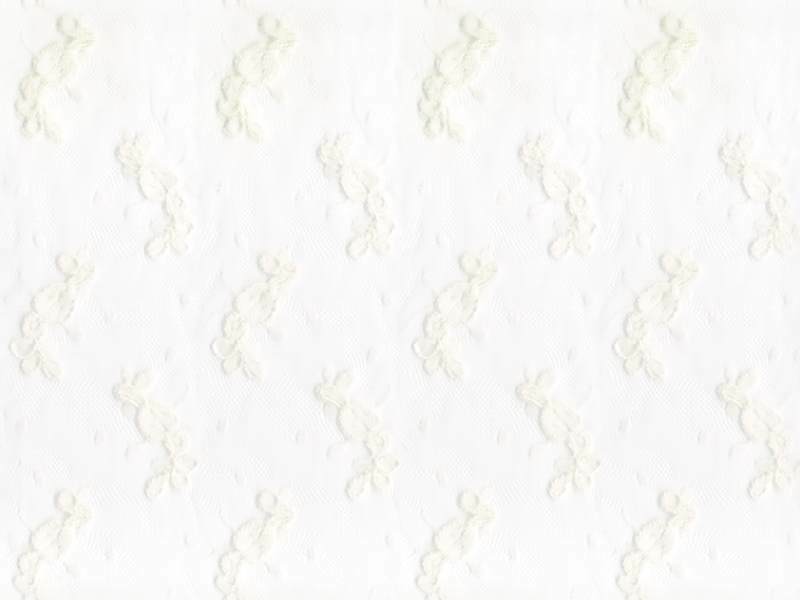 When shopping in person, you are able to compare the quality of the paper and printing methods used and view colors which are not accurately represented online. Online you receive little or no assistance with wording and etiquette. What you type in is what you will get whether it is right or wrong. Customization and design options are limited. At Lasting Impressions you benefit from design expertise and years of knowledge of etiquette do's and don'ts. I will assist you in personalizing your invitation choosing from an extensive selection of styles, printing methods and price ranges. If you are in the area, it would definitely be beneficial to schedule an appointment to view all of your options in person. If you are unable to visit in person, I would also be happy to work with you. Please give me a call so that we can discuss everything in great detail to ensure that your invitations are perfect! 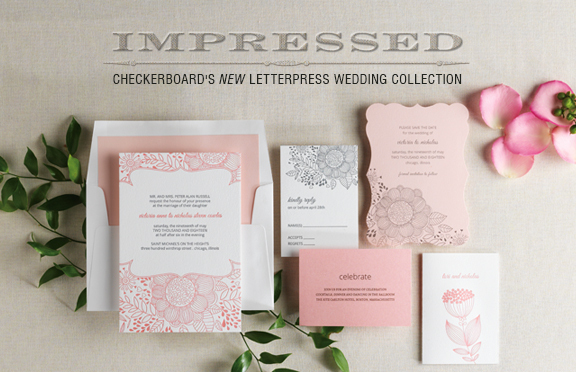 Have fun planning your wedding and I look forward to helping you with your invitations! Please call Linda Raffa at (413) 596-8245 with any questions that you may have.